Smurfit Kappa is headquartered in Dublin, with regional headquarters in Amsterdam and Miami. 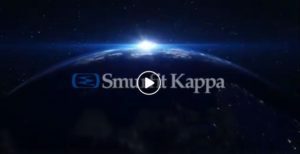 Starting in 1934 with humble roots as a simple box production company, Smurfit Kappa has since grown to become a leader in paper packaging, with 370 operations spread out globally in 34 countries. With an approach that is customer-oriented, innovative and backed by a commitment to sustainable principles, Smurfit Kappa wins with its flexible packaging solutions that lead the way in creativity and innovation.